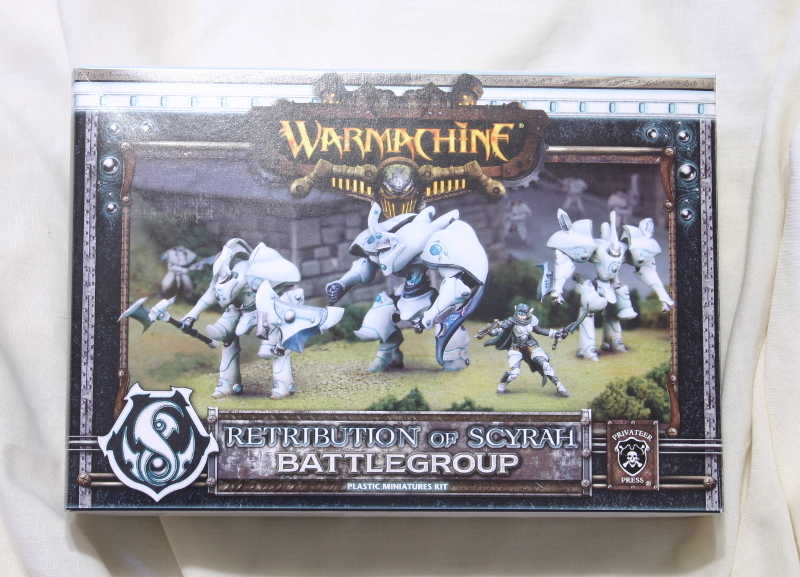 Warmachine is Privateer Press' game of steam powered combat in the Iron Kingdoms. Warcasters lead giant constructs to vie for control of the land. Can you lead your kingdom to victory? Each caster has a special power known as a feat, a spell or ability of enourmous power. If cast at the right time, they can be critical to achieving victory. A game of Warmachine ends when you kill your opponent's caster. This being said, there is more to victory than killing a caster. Players score points by completing specific objectives, such as having models near the center of the board. All of these rules are designed to encourage aggresive play. Cygnar's strength is ranged combat. Their primary color is blue, and they combine visual elements from electricity, knights, and the seventeenth century. Khador has very high armor, and brute force attacks. The also have lots of expendable troops. Their primary color is red, and they draw heavily on the Russian theme. 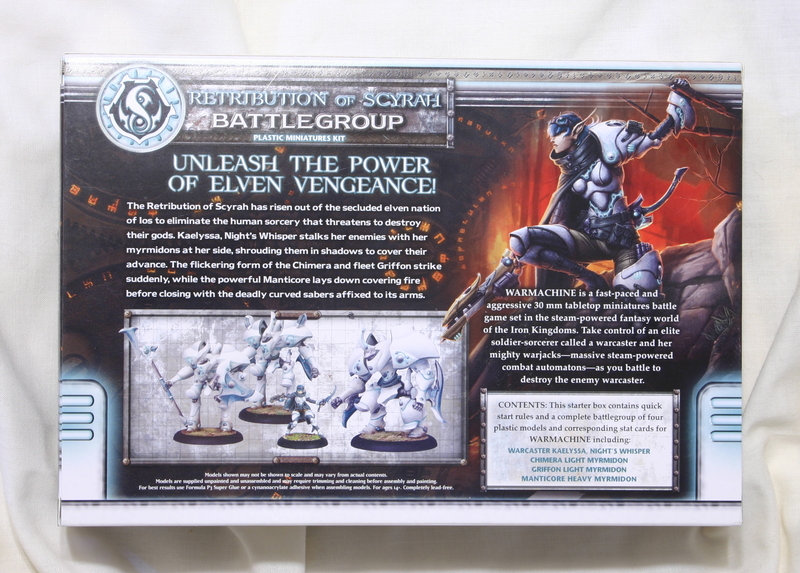 The Protectorate of Menoth casts spells to buff their troops, and also has flaming attacks. Their primary color is white, and they religious zealots. Cryx are the masters of death. Not only can they deadly in combat, but they can resurrect their fallen warriors. Their color is black. Convergence of Cyriss are robotic contructs. The army relies on synergies between units to achieve victory. Mercenaries have a wide variety of troops including pirates and dwarves. They are now joined by the mind controlling Cephalix.